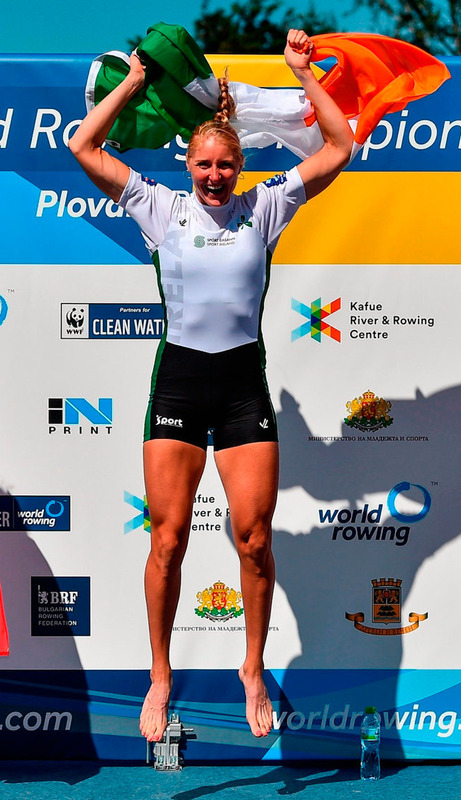 Sanita Puspure admitted that she had to battle nerves to deliver Ireland''s second gold medal of the World Rowing Championships yesterday. Puspure crushed the field in the final of the women's single sculls to canter home in first, sealing the biggest win of her rowing career. The joy was evident as Sanita embraced her husband Kasper at the finish line, sharing an emotional embrace. Born in Latvia, the 36-year-old moved to Ireland in 2006 and first represented the country in 2010. 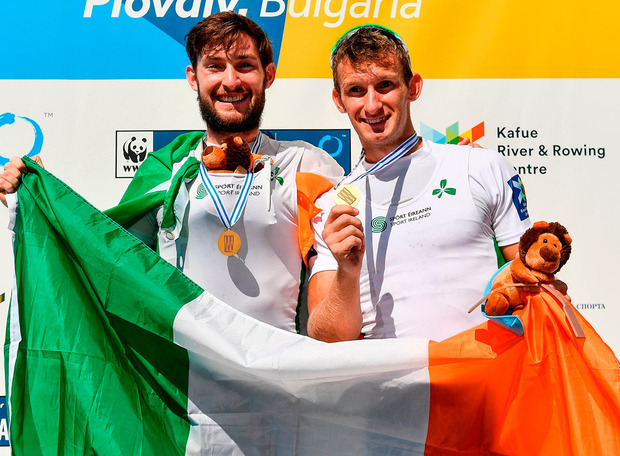 Puspure's win today marks a spectacular weekend for Irish rowing after the O'Donovan brothers won gold in the lightweight men's double sculls on Saturday. Speaking to RTÉ after the race, Puspure admitted that although she knew she had a great chance of winning a medal, that added to the pressure heading into the final. "I still can't believe it, I've been thinking about myself in the middle of the podium for the last week," Puspure said. "When I did my heat I thought I had a really good chance to do it. Almost knowing that gets you a bit more nervous. I'm used to being the underdog. I wasn't relaxed at all." Puspure has suffered plenty of disappointments in her rowing career, including failing to make it out of the heats at the Olympics, so was delighted to finally get over the line today. "In a way that was the biggest fear because I'm so used to being disappointed and not being happy after racing so this is very new to me. It means the world to me, my family and my team. It's great." Puspure added that watching Gary and Paul O'Donovan win gold the previous day only made her more determined to have her own moment on the podium. "I found it really emotional yesterday seeing the boys winning gold and I wanted the anthem to be played for me as well," she said. On a historic weekend for Irish sport, the O'Donovans (below) stormed to victory to win a first world title for Ireland in the Olympic-class lightweight double sculls. There was high drama in Plovdiv before the race even got underway when it was announced that Norway, who took Olympic bronze behind the O'Donovans in Rio two years ago, would be boating a substitute after their bow man, Kristoffer Brun, fell ill.
Instantly there was one less threat to consider - the Norwegians had taken the European title ahead of Ireland six weeks ago in Glasgow. Instead it was the Italians, Stefano Oppo and Pietro Ruta, who were most likely to deny Ireland the gold. Italy led off the blocks, with the O'Donovans lying back in fourth place after 500m and refusing to be fazed by the opposition. After 850m the Skibbereen duo destroyed the Italians' lead within the space of 100m, but Oppo and Ruta went with them, as the two doubles broke well clear of the trailing pack. Italy upped the rate with 200m to go in a last-ditch attempt to deny Ireland the gold, but Gary O'Donovan, in the stroke seat, allowed himself a little smile as he and his brother eased away to win as they liked. "We were very strong, very fit, very fast," he said. "We trained hard all year. We got two summers this year. We went down to New Zealand and Australia. People thought we went down there to party, but we went down there with the priority of working hard." "They were the best strokes we put together in all of our lives," added his brother.